MELBOURNE, Australia, February 10, 2013 (ENS) – Sea Shepherd Australia’s new whale defense ship, the SSS Sam Simon, has located the refueling tanker for the Japanese whaling fleet. A second Sea Shepherd ship, the SSS Steve Irwin, with the organization’s founder Paul Watson aboard as an observer, has changed course to meet the Sam Simon near the refueling tanker. The whale defenders plan to block access to the tanker by any whaling ships that try to refuel, giving them the upper hand, for the moment, in the battle of wits over whales in the Southern Ocean. “This entire affair down here is like a giant game of Battleship over hundreds of thousands of square nautical miles,” said Sam Simon Captain Luis Manuel Pinho, of Ocean Reef, Western Australia. “There’s blocking, intercepting, bluffing, maneuvering for positions and advantages, cutting and maintaining supply lines, avoidances and precautions,” said Pinho. “The objective of the Japanese whalers is to kill the whales and our objective is to make sure they don’t,” he said. 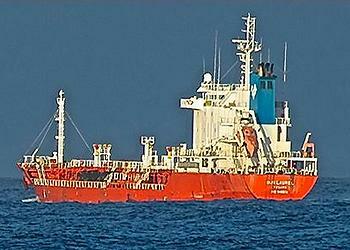 The Panamanian registered, Korean-owned vessel Sun Laurel, was discovered 1,250 miles south of Albany, Australia. The Sun Laurel refuels the Nisshin Maru several times during the whaling season. Starved of their fuel supply, the whaling fleet could be forced to cut their season short. “A massive blow has been dealt today to these illegal whale poachers from Japan,” said Sea Shepherd Australia Director Jeff Hansen. “What’s more, the Sam Simon was once part of Japan’s research program, so to have one of their own vessels turned against them must be a psychological blow. It’s time to rein in your fleet Japan and head back to Tokyo,” said Hansen. Dubbed the SSS Sam Simon, after the co-creator and former producer of “The Simpsons” television show who funded its purchase by the Sea Shepherd, the 183-foot vessel joined the whale defense campaign in December. The ship once served Japan’s Meteorological Agency, feeding ocean data to the country’s North Pacific whaling program. The Sea Shepherd has four ships in the Southern Ocean to disrupt the Japanese “research” whaling this season. Their strategy is to keep whalers on the run, leaving them no time to stop and harpoon whales to meet their declared quota of some 950 minke whales and 50 endangered humpbacks. 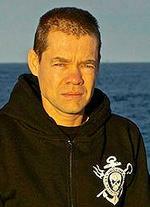 Sea Shepherd is subject to a restraining order issued in December by the U.S. 9th Circuit Court of Appeals. It enjoins Sea Shepherd, founder Paul Watson and anyone “acting in concert with them” from physically attacking the Japanese research vessels or any person on them and from navigating in a manner that is likely to endanger safe navigation at sea. Since Sea Shepherd intercepted the whaling fleet on January 29, the whalers have scattered and fled westward. Based on the course of the Sun Laurel when it was located, Hansen believes that the Nisshin Maru has run for approximately 1,500 miles – an average of 200 miles per day, giving the whalers little time to stop and kill whales. The SSS Bob Barker continues to pursue the Japanese factory ship, the Nisshin Maru. “The whale butchering ship Nisshin Maru can run, but it cannot hide. With an aerial fleet of drones and a helicopter assisting our fleet, we can continue to track, chase and disrupt these poachers,” said Captain Peter Hammarstedt aboard the Bob Barker. The harpoon vessel Yushin Maru No. 3 continues to be unable to kill whales, as it is tailing the Steve Irwin and reports the ship’s position to the fleeing factory ship Nisshin Maru. Bob Brown, a former Australian senator and leader of the Australian Greens is now co-campaign leader of Sea Shepherd’s whale defense campaign, now in its ninth season.